That's, me! Dana. I'd been feeling a bit sluggish - my belly bloat wouldn't go away, and I was having some (TMI) digestive issues. 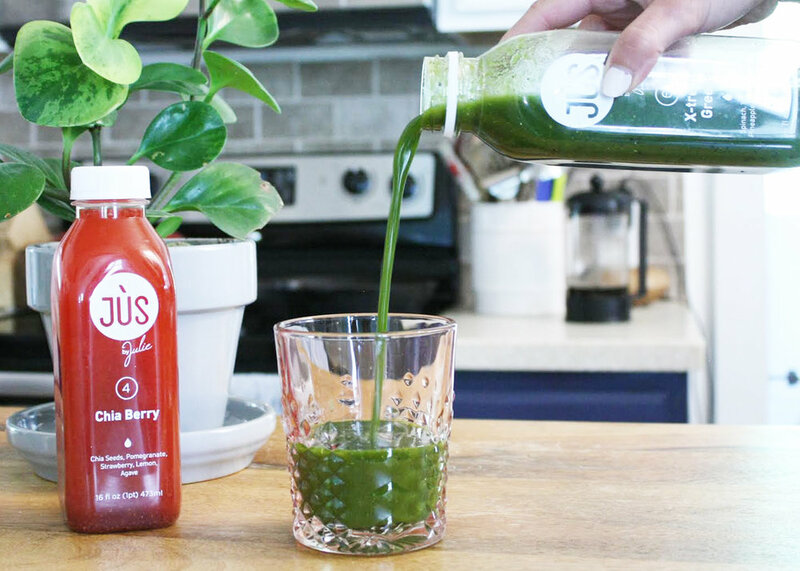 Living by the beach in Charleston, the start of summer is not the time to be feeling permanently bloated, so I took advantage of Jus by Julie's anniversary sale and decided to do a quick reset with their 3 day cleanse. I felt really great about this decision until a friend shared that she was afraid she would be so cranky that her fiance would call off their wedding (if she were to go on a juice cleanse) -- eep! Too late for me! First thing you should know: While I eat sensibly and take good care of myself, I really love food! I enjoy the smell of it, the process of making it, the social experience that lies around food...all of it. I rushed into this cleanse and was greeted with 3 days of what I refer to as starvation. Truly, I can't recall a time in my life when I've ever felt so hungry. Day 1 I recall feeling great until mid morning when I started getting a bit of a headache - wasn't hungry though, so that was a win in my book! By about 3pm (just in time for meetings) I was completely in space. By 9pm I was no longer Dana, but Zule (Ghostbusters reference for all those born in the 2000's). Day 2 I wasn't even able to jump rope in the morning, so opted for yoga which actually helped to get rid of the headache I had coming on. It's important to share that I was highly emotional - I believe my boyfriend called it "the most sensitive Dana there ever was". All in all, I did a better job spacing out my 6 juices this day and was able to curb most of my hunger and stay pretty productive. Oh, but I did cheat and steal a few bites of Matt's rice and black beans with fresh mahi for dinner (shhh!). Day 3 was a bit better. I was able to go for a run in the morning and didn't have the cravings I'd experienced the previous two days for anything non-liquid, but I was definitely very excited for the cleanse to be over! Jus by Julie Cleanse Guidelines: To my surprise (and delight) you're allowed 1 cup of coffee per day which saved my life, I swear. If you're famished (duh - of course you are), you can snack on raw veggies. At dinner if you need some more sustenance, you're allowed up to 3 scrambled egg whites - I never confirmed whether I could douse them in hot sauce, I just went for it! Taste - with 1 or 2 exceptions, all of the juices were delicious. Weight Loss - I lost 2 pounds over the 3 days and felt far less bloated. Digestion - yeah, I know TMI...but my movements were regular and easy. Packaging - the juices arrived in a Styrofoam (boo) cooler (yay) with all bottles numbered so that I could easily figure out what to drink when. Low Protein - there was a total lack of sustenance in these juices. You have to add on protein juices which, to me, is just irresponsible of them and kind of BS. High Sugar - most were very high in sugar; couple that with low protein and I was crashing hard. Cost - these aren't cheap. 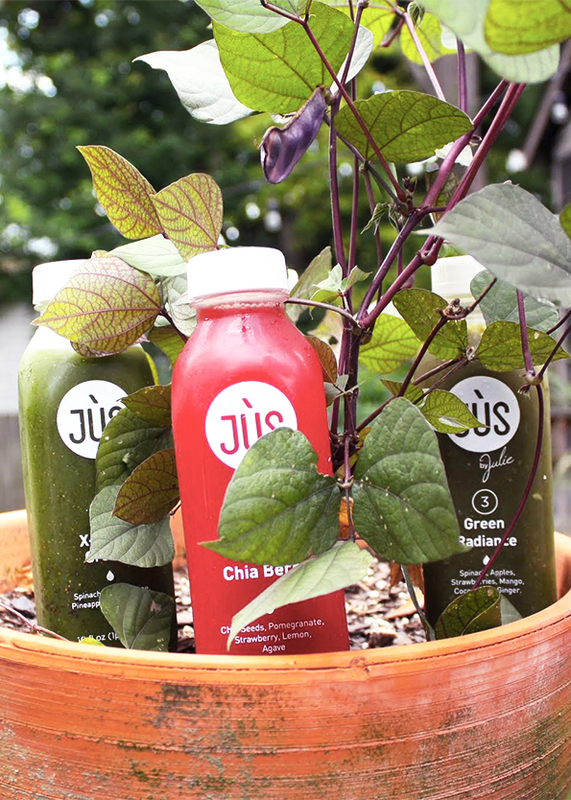 Without the discount I received, a 3 day cleanse costs $125, plus you've gotta ship those puppies from Brooklyn. So, would I do it again? Probably not! Homemade green juices for breakfast...definitely, but my lifestyle requires a bit of real food to keep me going.